Rome wasn't built in a day, and neither was D.C. (yeah, thanks a lot, Pierre L'Enfant). But that doesn't mean you can't see a gingerbread version of the Capital City go up right before your eyes. 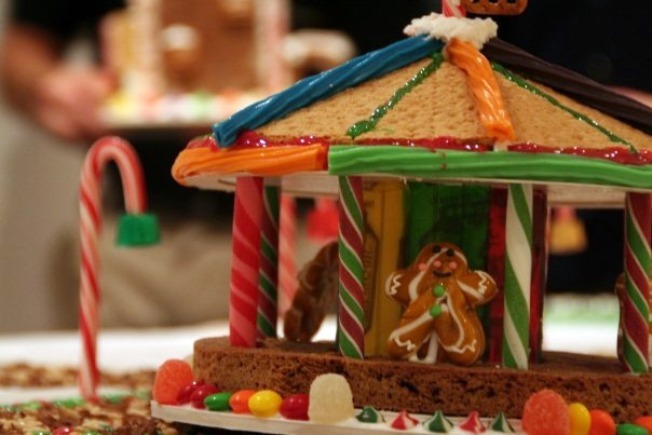 Tonight from 6:30 to 9:30 p.m., a local architectural firm hosts the kickoff of its annual (and annually squeal-inducing) Gingertown event. Head on out to David Schwarz Architects (1707 L St. N.W., Suite 400) to help build an impressive confectionary city. This year's "Master Plan" includes an Embassy of Swedish Fish, Ben's Candy Bowl and the Center for PEZ and Justice. Plus, you can expect graham-cracker rowhouses, candy-cane lamposts, pretzel-stick fences ... we're holding out for a Washington Monument made entirely of teensy vanilla-wafter blocks. The town typically remains on display for a few days before being divided up and shared with local hospitals and community organizations. Past recipients include National Children's Medical Center and Martha's Table. E-mail gingertown@dmsas.com if you're ready to join up tonight. Not so much? Go peek at photos from past years. We suspect they'll change your mind pretty quick.